Rbot 2.0 created another record | Rajnikanth and Akshay starer film Robot 2.0 has cross 600 crores Worldwide. HomeRobot 2.0 worldwide collection. EntertainmentRbot 2.0 created another record | Rajnikanth and Akshay starer film Robot 2.0 has cross 600 crores Worldwide. 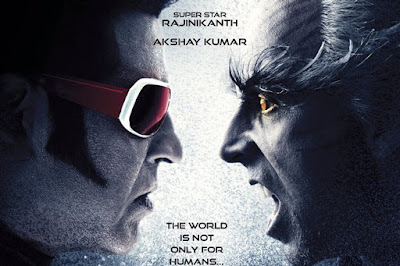 Rajnikanth and Akshay starer film Robot 2.0 has cross 600 crores Worldwide. As per trade pundits, 2.0 has now grossed more than Rs 600 crore worldwide. This includes the domestic collections as well. 2.0 had already grossed Rs 400 crore worldwide within the first week. We also have to add here that the these are gross earnings. 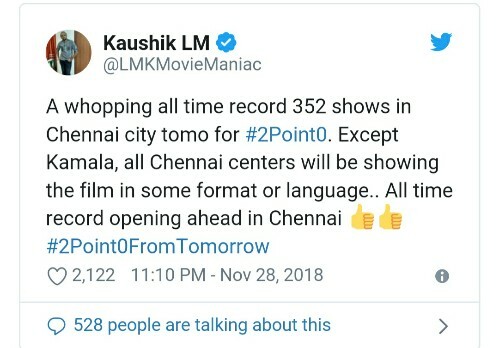 Nearly Rs 300 crore are earned in India itself, with even the Hindi version grossing more than Rs 150 crore (though it won't be able to beat Baahubali 2's record breaking Rs 510.99 crore).